Leading e-commerce retailers recognise the value of personalizing the customer journey across every touchpoint to encourage engagement as well as purchasing. It goes way beyond simply welcoming a returning, registered user to an online store. By harnessing the correct data, winning e-commerce retailers know what their shoppers want to achieve when browsing their online sites and how to generate the most positive customer experiences each time they visit the store. That capability is being enhanced by Retail Rocket, a multi-channel big data platform for online stores’ personalization and email marketing to achieve customer recovery. “Our goal is to create a truly personalized shopping experience for customers and boost online store sales,” says Teresa Sánchez-Herrera, marketing manager of Retail Rocket. Founded six years ago, Retail Rocket’s solutions have a rich heritage in data science. 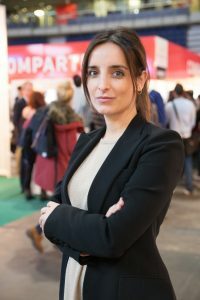 “These solutions have the back bone of 45 years of research and development to be able to provide our clients with a unique set of solutions, backed by powerful algorithms and therefore provide positive results,” Sánchez-Herrera explains. As such, Retail Rocket is already a world leader in recommender systems, machine learning and big data analysis and is part of the RecSys group; alongside digital heavyweights such as Amazon, Instagram, eBay and Facebook. The company has more than 1,000 customers – including leading retailer brands Otto Group, L’Occitane, Auchan, Vans, Yves Rocher and Decathlon – in 10 countries and analyzes the behaviour of around 120 million user profiles. Headquartered in Moscow, Retail Rocket has offices in the Netherlands, Spain, Germany and the UK and will open in Italy and France shortly. Outside of Europe, the business is expanding in South America, where it has already signed 20 clients, and has recently opened offices in Chile. In addition, Retail Rocket works with partner companies in South Korea and India. The company’ services span two key categories: web personalization and email marketing automation. In addition, Retail Rocket provides customized omni-channel projects, scheduled newsletters and smart opt-in forms designed to increase retailers’ databases. Through its self-learning algorithms, Retail Rocket can create personalized experiences in retailers’ online stores. Effectively, Retail Rocket adjusts the webshop so that each visitor gets their own version of the website and their own personalized offers. Retail Rocket’s email marketing solutions, meanwhile, include triggered emails. These are generated in real time and based on each visitor’s behaviour on a retailer website and they are designed to drive traffic, increase retention rates and generate sales. Personalized emails are another tactical device in the Retail Rocket tool box. These solutions enable retailers to send personalized emails to their customers based on their behaviour on the website. They can also provide valuable segmentation data for retailers’ email marketing platforms to personalize newsletters, for example. The Retail Rocket offer is topped by a flexible pricing model, which removes retailer risk; and slick implementation. Butik is one online fashion retailer implementing Retail Rocket’s website personalization solutions. Based in Russia, the online store attracts more than one million users per month (based on data from SimilarWeb) but wanted to personalize the website experience for customers by analyzing their real-time behaviour and then ensure each visitor receives their own version of the store, based on their browsing and purchase history. Retail Rocket’s analysis of the efficiency of the personalization system of the online store was conducted through an A/B test: all Butik.ru users were randomly divided into two segments in real time. The first segment was shown the recommendations of customized Retail Rocket products in real time, while the second segment was shown Butik.ru’s internal recommendations of the online store itself. The aim of the test was to identify the significant statistical difference in the conversion rate between both user segments. During the trial period with Retail Rocket, Butik.ru experienced a dramatic increase in all key performance indicators, with revenue growth of 27.1%, average order value of +5.71% and average revenue per visit + 27.1%. In addition, the retailer was able to influence additional sales to customers who had already purchased. Butik.ru also generated new visits from users who, later, would become potential customers. In a rapidly changing retail landscape, dominated by new digital technologies and consumer behaviour, attracting new customers and building loyalty is more challenging than ever. Over 10 years ago, Amazon had already announced that 35% of its sales are generated through recommendations and all leading companies have a substantial percentage of their revenue come from recommendations.